In Part 1 of BE‘s look at how top corporations are utilizing ERGs, we listed AT&T and TIAA. Below are five other well known brands that recognize the power ERGs and have wielded over the years to make corporate spaces more inclusive. Comcast’s ERGs provide professional development, networking, mentoring, community service, and advisory support for business products and services. This includes active chapters of their Black Employee Network (BEN), which provides additional development and mentorship opportunities, as well as internship, scholarship, and fellowship opportunities. Their ERG Mentorship Program pairs entry to mid-level employees with senior leaders for nine months, to help support their career goals. According to Comcast’s website, by the end of 2013, Comcast launched eight ERGs that had approximately 4,200 members, and NBCUniversal’s long-standing ERGs had more than 7,000 members. At State Farm, ERGs provide employees a tremendous opportunity to participate in mentoring, informal networking, and professional development, by answering the question,”What do you need to do in order to make yourself an asset to State Farm?â€ Any State Farm employee who supports a group’s business purpose is welcome to join and does not need to be a member of the demographic segment the group is formed around in order to participate. The African American Forum (AAF) ERG has established a goal to provide active mentoring and leadership development opportunities to their over 1,400 members. Through AAF, members may be mentored by a director and, in many instances, by an executive. Mentoring may be comprised of both group and individual mentoring sessions. 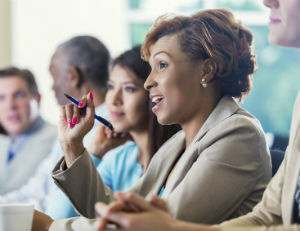 The purpose of the African American Forum (AAF) is to provide a forum to discuss and proactively share information and experiences that will assist in the professional and personal development of its members and support State Farm’s goals for employee development through mentoring, networking, and seminars. The Kellogg Cross-Cultural Leadership Program (KCCLD) is designed specifically for talented people of color. Its main goal is to increase the diversity of the talent pipeline by helping to strengthen retention and development of this population. Succeeding in corporate America as a person of color. Leading and engaging with the head and the heart (emotional intelligence). Program cohorts may be either multicultural or demographically targeted. For instance, in 2015, the program focused on African American employees in sales and marketing. One of the program’s strengths is how it prompts employees and their managers to have more open, honest conversations, and, as a result, better working relationships. In February 2016, Chase announced a firm-wide diversity strategy, Advancing Black Leaders. This initiative is dedicated to attracting, hiring, retaining, advancing, and developing talent from within this community. Under Valerie Rainford’s leadership, its aim is to increase black representation at the officer level, expand the pipeline of junior talent, and retain existing talent through development opportunities for continued advancement into leadership roles. A key area of focus for Bank of America is on hiring, developing, advancing, and retaining black talent. To do so, the Global Diversity & Inclusion Council has implemented an initiative to identify mid and senior-level African American talent and have routine, one-on-one conversations, in an effort to get to know them and advocate for their advancement at the firm. In addition to the GDIC is the Black Executive Leadership Council. Established in 2012 and comprised of about 150 black senior leaders at the company, the Black Executive Leadership Council is committed to supporting advancement and increasing representation of black talent at the bank. Members advocate for and sponsor strong performers, get to know and grow talent, and connect and engage,Â to build relationships and expand networks.